Soups are so ideal during winter. They are my definition of comfort food on cold rainy days. Both I and my daughter are soup fans! Today we are making an easy, quick, yummy and healthy soup! What’s more to ask? 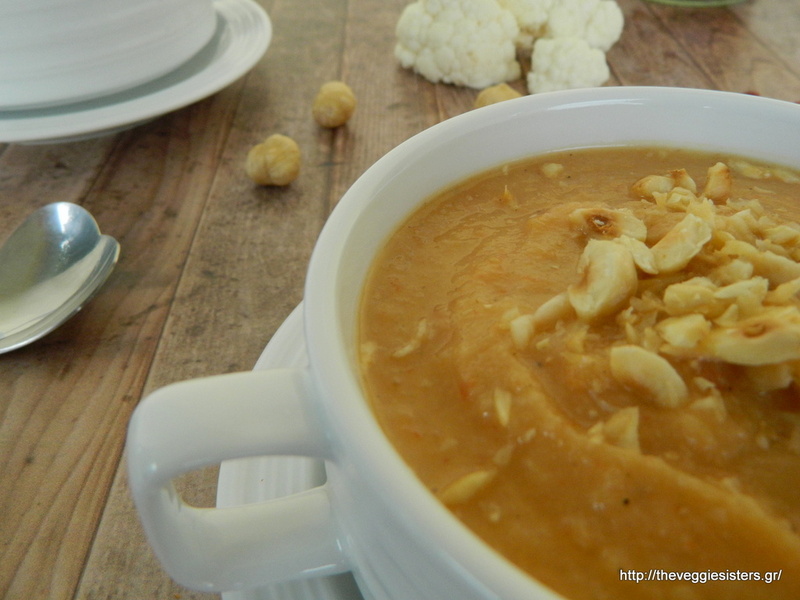 Its basic ingredient is cauliflower, a vegetable that I really love even though many people despise it! It is so versatile and yummy and lately it has become very popular in the USA. I hope you enjoy it as much as we did! In a saucepan saute onion and garlic foe a while. Add cauliflower, goji berries, cumin and season with salt and pepper. Pour 3 glasses of water. (you may need to add some more water). Finally add roaste red pepper. Working in batches puree soup in a blender. 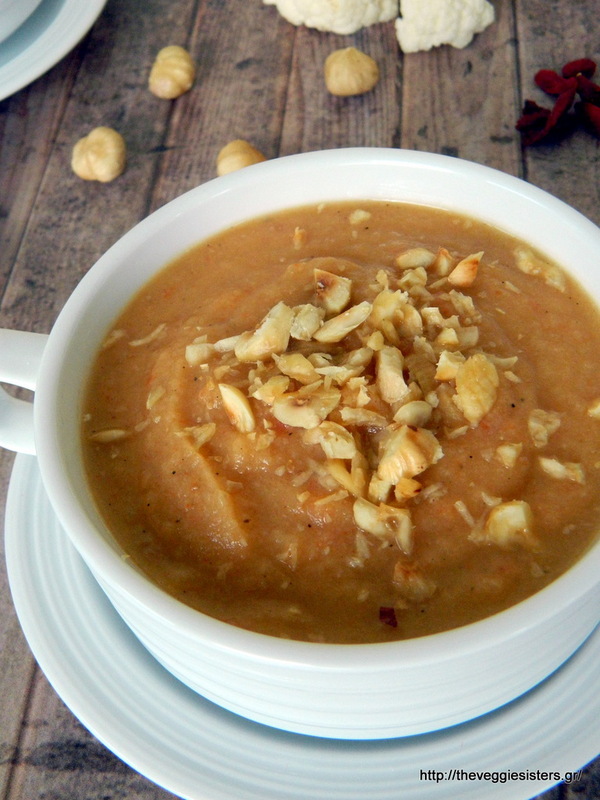 Serve in bowls and top with chopped hazelnuts if you like. Enjoy! 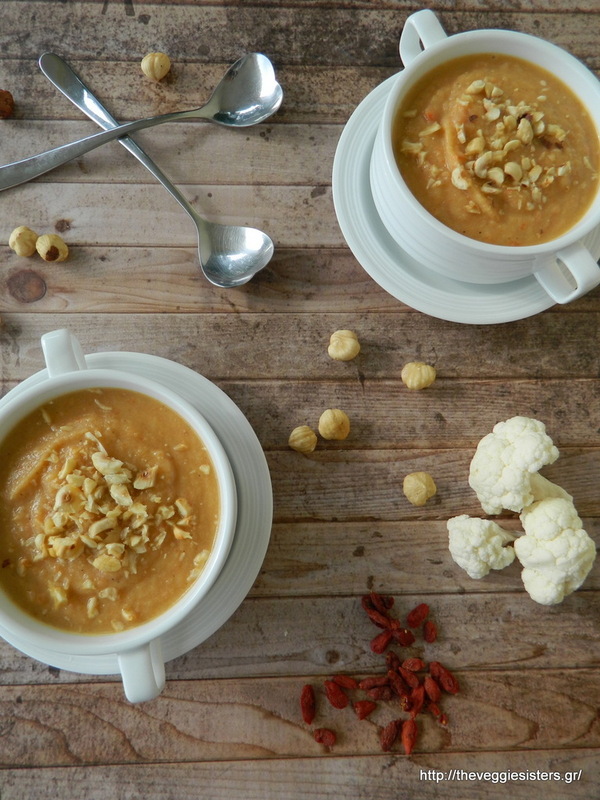 Share the post "Velvety cauliflower soup with goji berries"